Thus, it becomes a serious issue when the Microsoft Outlook user has to face Outlook data file error OST cannot be opened problem. There are various reasons the user has to face this problem. So in this blog I am going to discuss the main causes of this Outlook data file OST file cannot be accessed probem. And also the manual and automated workarounds to resolve this issue. Before proceeding to the solution part let us first discuss the reasons of this problem. There are several reason that might pop up this error. And the major ones are discussed below. 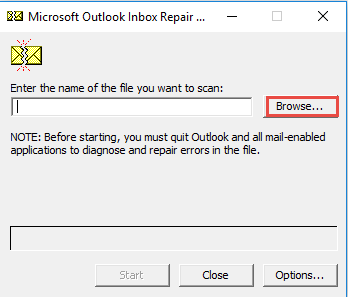 Inappropriate or Improper Installation of MS Outlook application. 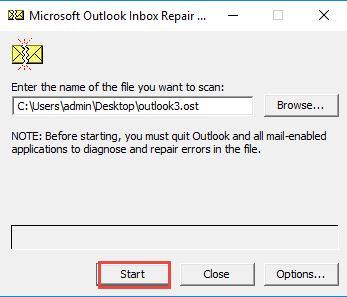 Abruptly or forcefully termination of Outlook when OST file is in use. In case of Synchronisation issue between OST file and Exchange server. 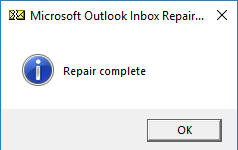 Outlook Exchange server is deleted and your OST file is Orphaned. OST file will get damaged or corrupted due to virus or malware infection. Due to oversized OST file issue. Now to get rid of this problem the user can try this manual method. Microsoft offers inbuilt utility to repair the OST files which are Scanpst.exe (also called Inbox repair tool). This helps to fix the minor level corruption or header level corruptions present in the OST files. First of all Exit Outlook and Browse one of the Following location. Browse the OST file from your system and click on Start to button to begin the process. If scan finds error in the OST file click on Repair. Finally click on Ok after the completion of the process. In case if the above method wont work for you then you can try OST PST Conversion Software. This helps the user to remove the corruption from OST file and allows the user to save the OST file as Outlook PST file formats. It is one of the finest approaches to tackle the any type of issues. In addition the user can easiliy export the selective OST file emails. The user interface of this utility is so simple and easy to use for technical as well and novice users. This software is compatible with all versions of MS Outlook. For complete info the user first can try the demo versions of this software. Outlook OST files are important for the Outlook user in order to maintain the continuity of the work. Thus in case if the user encounter Outlook data file error OST cannot be opened problem then the user has to face immense incovenience to access the mailbox data items. So in this article we have resolved the problem. The user can try the manaul methods to resolve this issue. But this will work if minor level corruption is there in the OST file. So its better to take the help of OST file conversion utility to resolve this problem.